CHICAGO – It’s time for a certain generation to get their screams of adulation ready, as New Kids on the Block – also known as NKOTB – are back on the road and appearing in Chicagoland at Allstate Arena in nearby Rosemont, Ill., on June 15 & 16, 2017. Joey McIntyre is one of the band members, and he also had a new mock reality premiere in April of 2017 called “Return of the Mac” (Pop TV Channel). HollywoodChicago.com was there to capture some Exclusive Portraits of “The Mac,” when he appeared at Studio Xfinity in Chicago in March to promote the show. CHICAGO – What better holiday than Thanksgiving to highlight a celebrity chef? Chef Robert Irvine is familiar to fans of the Food Network, through his shows “Dinner: Impossible” and “Restaurant: Impossible.” His brand of tough love has expanded to a new self help series, appropriately titled “The Robert Irvine Show.” Irvine was recently in Chicago appearing on behalf of Comcast at the Studio Xfinity store. 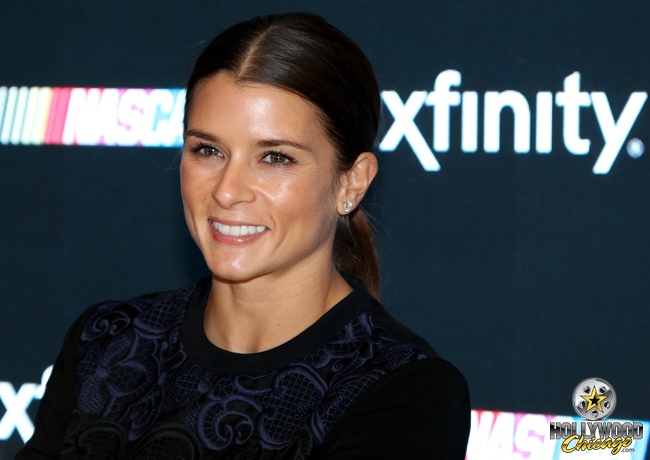 CHICAGO – NASCAR star and GoDaddy girl Danica Patrick treated Chicago fans to an autograph signing on Sept. 17, 2015 at STUDIO XFINITY in Chicago.